This summer we began working with the staffing firm All American Healthcare Services to expand their digital reach to nurses and other healthcare employees seeking work as well as to the medical facilities they staff. Acting as their web design and PPC management agency, we created a brand-new website that offers targeted content by audience and is optimized for search. We also leveraged paid ads on Google and Facebook to drive prospects to campaign-specific landing pages, which resulted in a 914% increase in page sessions and a 400% increase in organic traffic. Our next steps will be to add pages for specific job functions and use video and thought-leadership papers to build prospect confidence. We were excited to continue our work with Ansell, a global leader in healthcare and industrial protection products, as the company turned 125 years young this year. To commemorate the milestone, we created an interactive quiz app that tested the knowledge of Ansell’s employers, partners and customers and allowed them to engage with the rich history of the company. The app features clips of employees from around the world asking the quiz questions as well as short vignette videos to add historical facts after each answer. Viewed together, these short videos tell the full Ansell story in 12 parts. At the end of the quiz, users are given the opportunity to challenge a friend. For every correct answer recorded, Ansell pledged to donate $1 to Direct Relief, a global charity that Ansell also supports by donating safety equipment. To date, nearly $25,000 has been raised through the app. It’s gratifying to be a part of a project that benefits such a worthy cause. With the digital landscape constantly changing, there are plenty of reasons to refresh your website to ensure it continues to attract and convert leads. With that in mind, we worked with TaikiUSA to write and design a new website from scratch. The site and its valuable content strengthens the company’s position as a leading application expert in the beauty industry. The design leverages modern marketing practices, such as video heroes and a fully responsive UI for mobile devices. 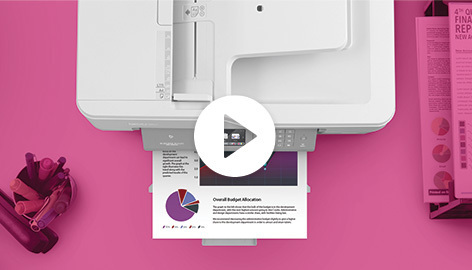 The new website saw a 73% increase in goal completions in 2018, a trend we’ll look to continue with the addition of new thought-leadership videos, reports and infographics in 2019. We’re exceptionally proud of the videos we’ve created with our friends at Brother in 2018, when we evolved from feature-driven videos to web commercials that tell a human story. No matter what product you’re selling, it’s important to speak to how the viewer’s life will improve because of it. Recognize the set? We shot this video in the newly renovated space at Ridge Marketing. We also filmed a second iteration targeting home users in our family kitchen – take a look! No one likes frequently buying or changing printer ink. Luckily, Brother’s INKvestment printers come with one year of ink in the box. This video was filmed over a weekend at the Brother offices in Bridgewater, NJ, and utilized 10 actors and extras. 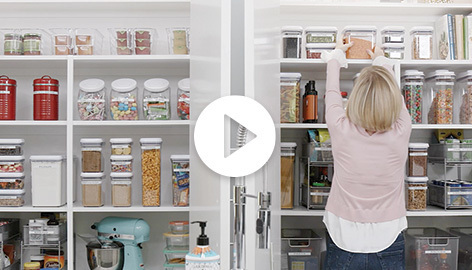 Created as a digital asset for the Container Store, this label maker video is aimed at the organizationally-minded consumer. Building out realistic sets was a detail-oriented process made much easier by our creative partners at Awakened Films. We’ll also remember this as the debut of our office dog Finley, who has a key role at the end of the video. There are two key marketing trends that we see – and are helping to drive – in 2019. Data is continuing to drive marketing decisions, and the type of analytics that can be tapped is becoming more robust. Where traffic comes from, paths users take as they navigate sites, assets downloaded, where users abandon forms, which email subject lines resonate, the value and quality of leads and more are increasingly informing our clients and influencing our actions as an agency. Content Marketing – or the strategic creation and promotion of valuable content for target audiences – has also proven its worth across the marketing landscape. We’re excited to work with current and new clients this year, in the role of content marketing agency, to help them attract customers with compelling digital content like ebooks, infographics, reports and videos. As for Ridge Marketing… we’ve got a few digital surprises of our own in store this year, such as… drumroll please… the newly redesigned Ridge Marketing website. Be well and stay tuned for more!